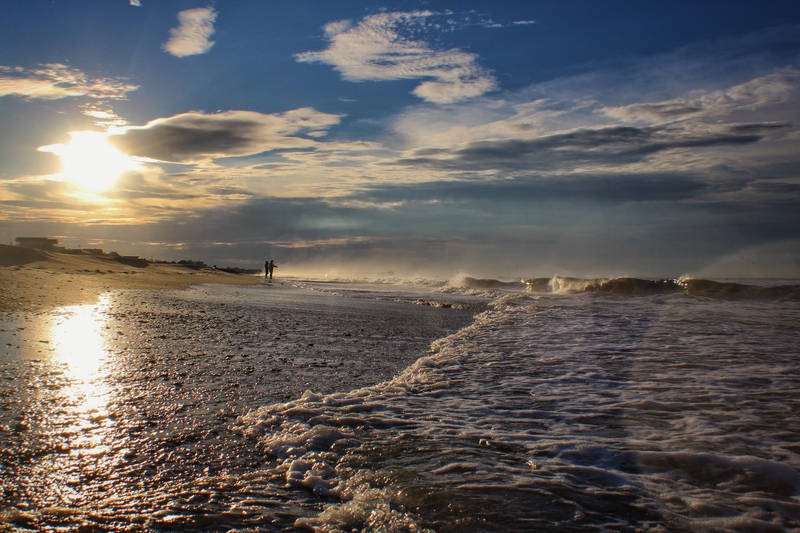 Your weekly scenery picture! 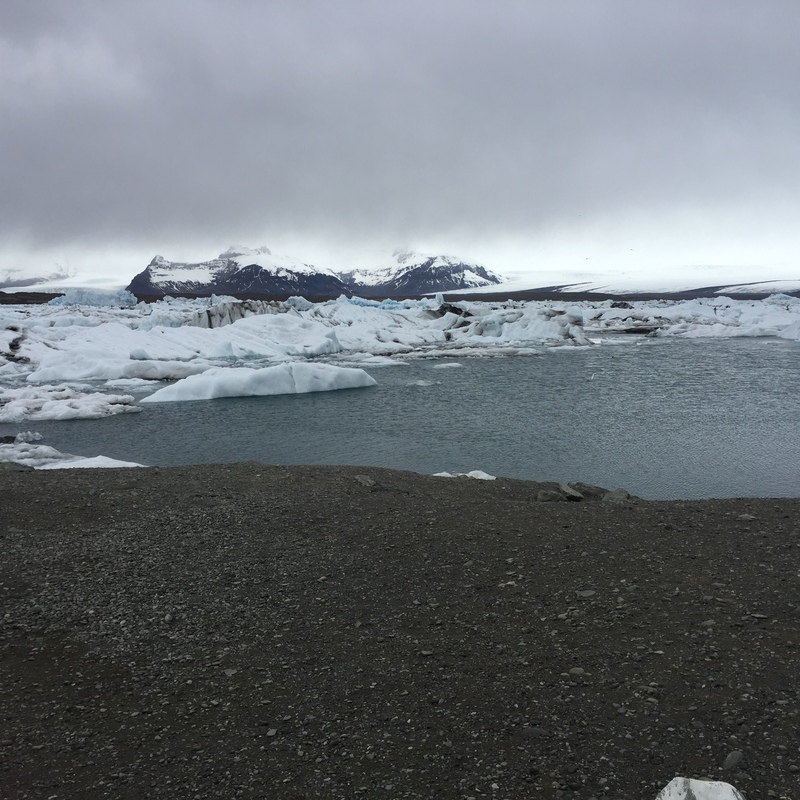 This was taken in Northern Iceland when we were traveling south from Husavik and towards the Westfjords. Beautiful and terrifying. Thanksgiving is in two weeks. Guys – TWO WEEKS. I’m freaking out. Mostly, I’m excited. I am already ravenous for all the food. I love everything about Thanksgiving. I love the idea of congregating together, cooking all day, talking loudly, and eating an obnoxious amount of potatoes. 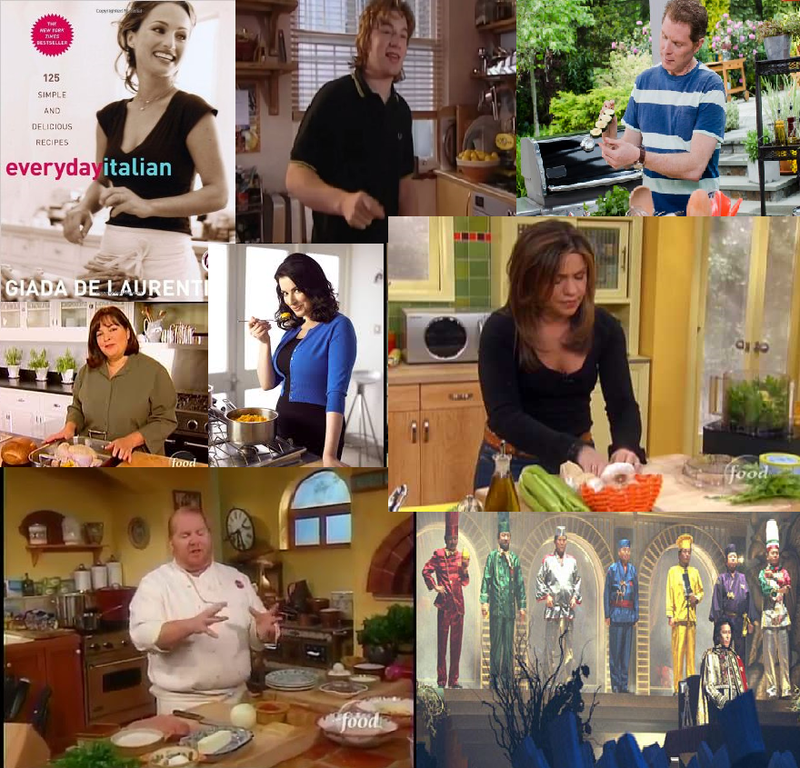 As someone who has a reputation for cooking and enjoying cooking constantly – maybe you think I’m gearing up to cook a feast. In part – you are right. I’m excited to nail down some pie options, find a good mac and cheese recipe, and mash some potatoes. However – I’m also dreading it in a way. The same week of Thanksgiving, my hours for my second job have skyrocketed and the mall will be flooded by consumers fighting each other for the best deal on stuff that no one actually needs. Don’t get me wrong, I’m a big consumer too. I buy SO much food. I’m trying to work on my waste but…that’s definitely a vice of mine. There is just a duality of the holidays that always makes me pause. The combination of trying to appreciate our loved ones in a sincere way and pushing material goods onto them (some they want and some they don’t) and almost going broke for it is almost laughable. People always talk about the ‘meaning’ of Thanksgiving or the ‘meaning’ of Christmas. As if talking about the ‘meaning”‘of any of these times of the year makes people less forgetful that life isn’t about the STUFF. It’s about togetherness. In light of recent, national events – my mind has been in overdrive trying to figure out the equation of togetherness and community and how we all fit into it. Maybe I sound like a cynic? I try not to be. In fact, if you asked anyone who really knew me, I get excited and in the spirit of any holiday. Arbor day? YES. TREES. Presidents’ Day – let’s watch documentaries all day! Christmas? I WAS BORN ON CHRISTMAS EVE. I am Christmas incarnate! But…in a world where we are constantly told we need to buy something to make us happy – I struggle to remember at times that all we need is each other. So this year, if I don’t make that extra pie, I won’t beat myself up about it. If I don’t spend a certain amount of money on people, they’ll have to realize that my homemade gifts are so much….MORE…than anything I could have ever bought them. Love you guys! Are you ready to eat your faces off soon? I know I am!!! Guys! Have you tried this brand of cookie? 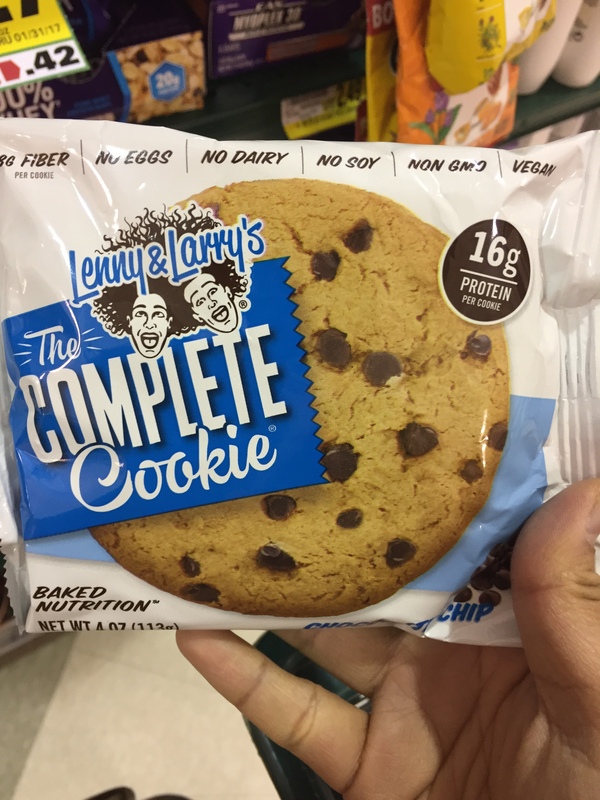 Lenny and Larry’s The Complete Cookie?!?! Oh my GOD it was amazing. Completely vegan and has 16 grams of protein! WHAT. It tasted freaking awesome. Also – I’m holding wine because I took this picture the day of the elections and I needed comfort. Don’t judge. 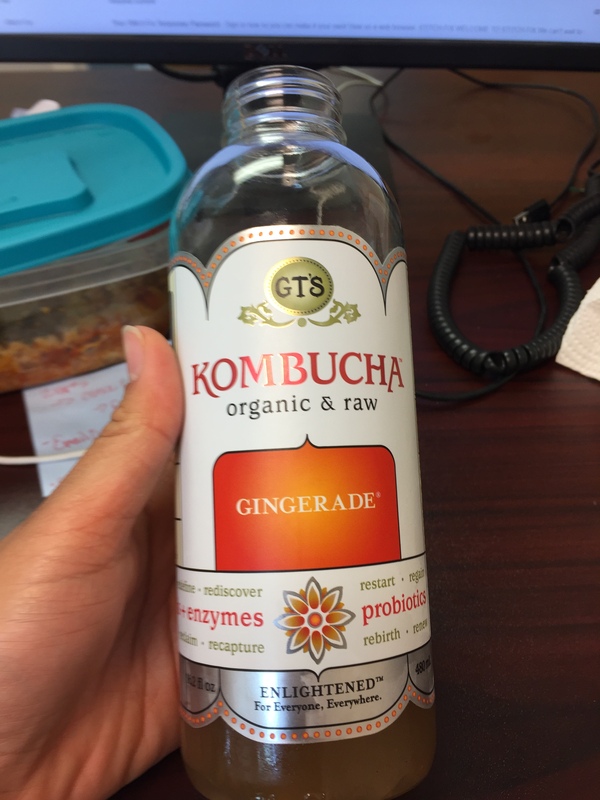 Are you a kombucha fan? I’m obsessed with it’s vinegary taste and the fact that it has probiotics! If it wasn’t $3.50 (at its cheapest) per bottle, I’d probably drink one every day! 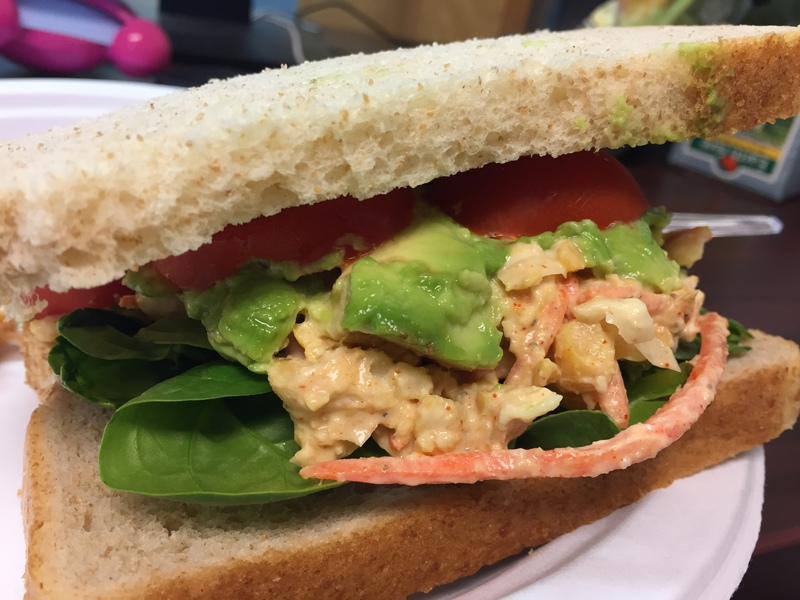 I made the most DELICIOUS chickpea salad sandwich the other day. I sincerely devoured this entire sandwich in less than five minutes. It almost tasted like tuna salad and I used to love tuna salad! 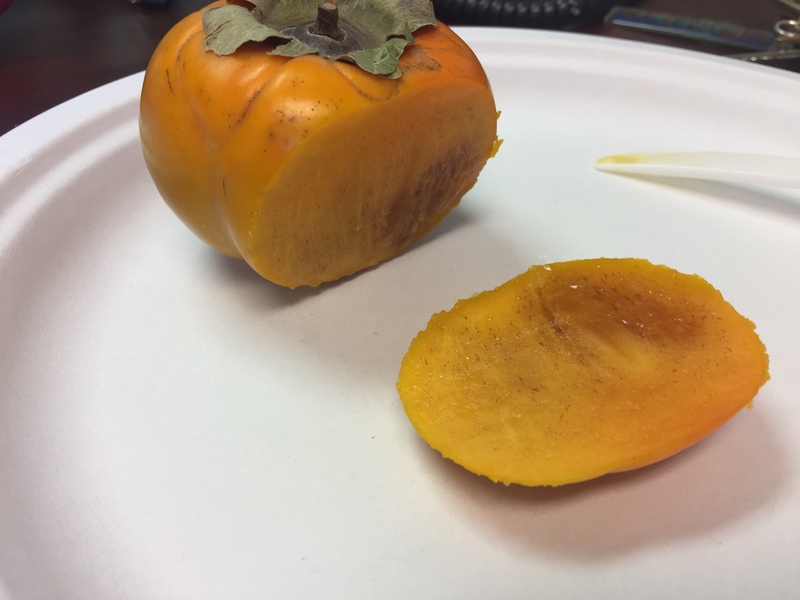 I had a lovely persimmon for a snack the other day. This poor fruit was a bit bruised in its transport but it was still delicious! Don’t even judge. 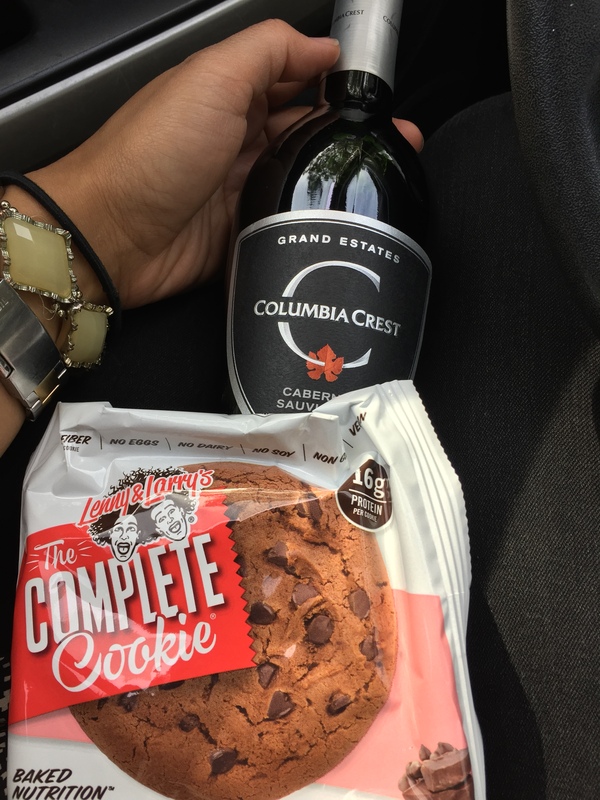 Yes, I bought another one of these cookies in the same week. It was just as good as the first one. Sorry for the strange picture! 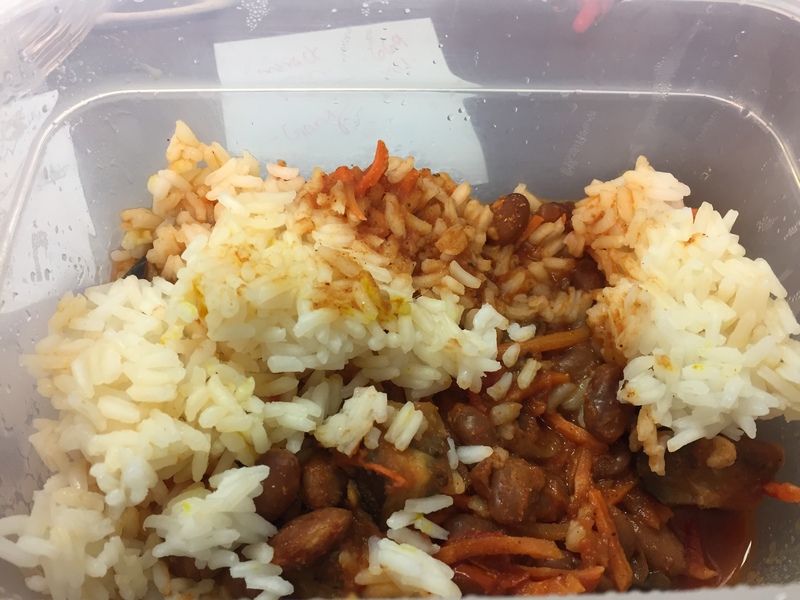 Here, we have rice and a quick veggie chili that I literally made in twenty minutes before I went to work one morning. For rushed chili, it wasn’t bad! The chili has shredded carrots, diced eggplant, pinto beans, tomato sauce, chopped tomatoes, and lots of different spices. Now that it’s getting colder, I look forward to a bowl of oatmeal every morning. 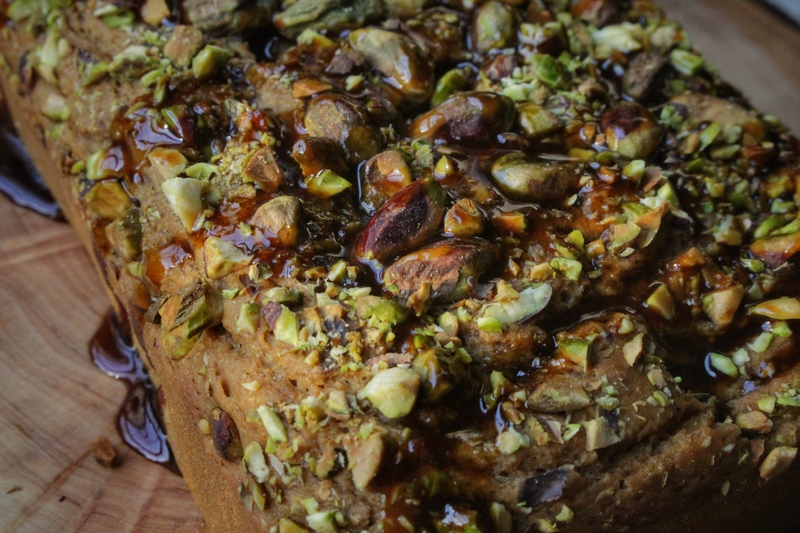 Especially that giant dollop of almond butter in the middle. 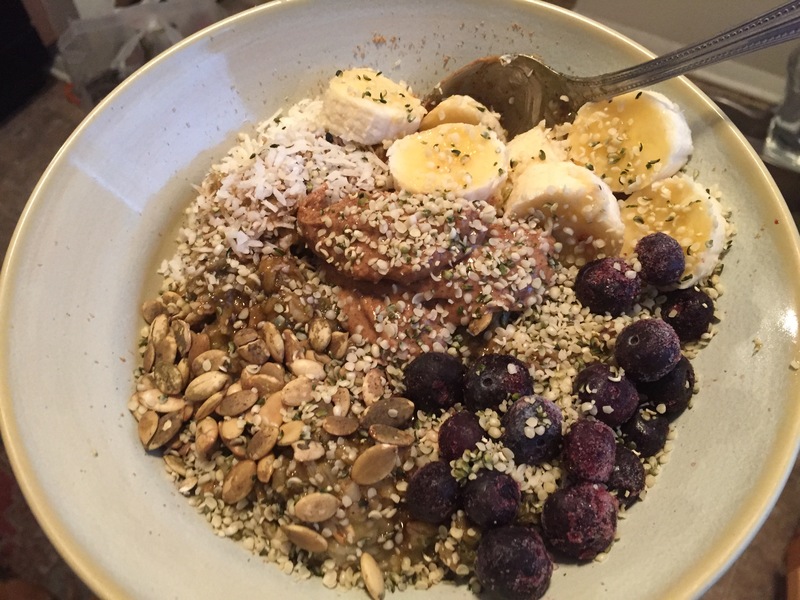 This bowl is my norm – oats mixed with cinnamon, matcha powder, and chia seeds. On top is almond butter, bananas, frozen blueberries, shredded coconut, hemp hearts, and pumpkin seeds. My favorite three-ingredient pancakes! Except – this time it’s more like 5 ingredients. I used ground up oats, one banana, almond milk, baking powder, and a bit of coconut oil. These turned out a lot more cake-like than when I just used the first three ingredients I listed. 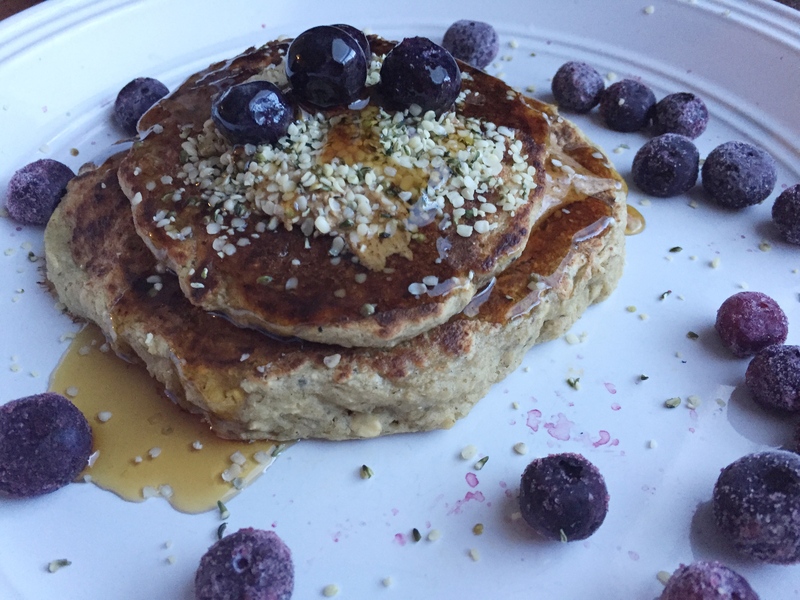 On top of the pancakes are frozen blueberries, almond butter, hemp hearts, and maple syrup. Yum. I’m hungry for these all over again. This. Pizza. It was sooooo good! 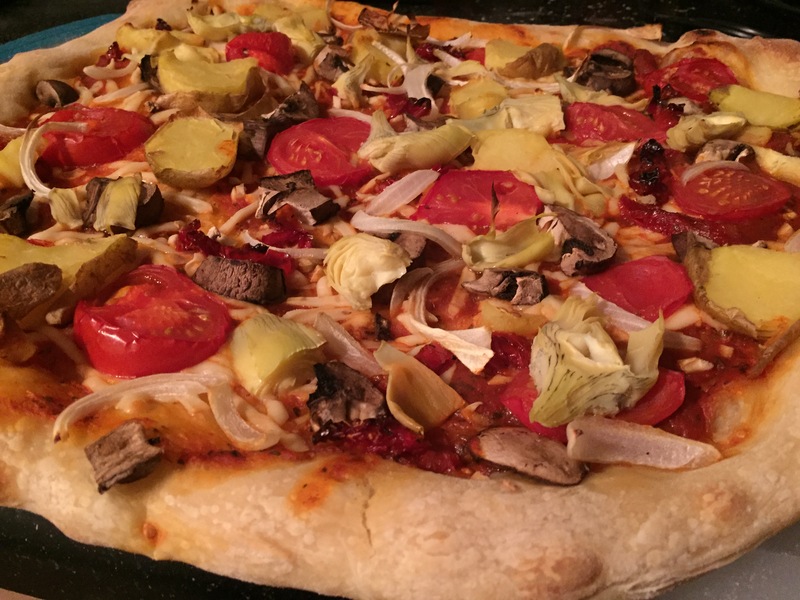 I put mushrooms, onions, fresh minced garlic, artichoke hearts, fresh tomatoes, sundried tomatoes, and potato slices. Holy hell, it was awesome. Happy Eating!!!! Have a great week! Recently, life has been slowly gearing for the end of the year. I can feel things getting busier and I’m trying to beat back the panic of the impending flurry of the holidays.